We are less than a month away from regulation football, everybody! ARE YOU READY FOR SOME FOOTBALL, CHICAGO? Training camp is hot and happening in Bourbonnais! With a week and a half until preseason begins, the Bears face many obstacles that must be cleared in order to prepare to face-off against another team. The loss of Lovie, the departure of Urlacher, and the shaky consistency of Jay Cutler are all things that the Bears must improve in order to have a shot at the playoffs. The Bears solid defense is something that needs a bit of work as they are adjusting to working without their former leader, Brian Urlacher. Tillman is looking good, Peppers is in the quarterback’s face, and Jennings is keeping himself near the ball to keep near the action. With so much speculation about how the defensive line would shape up after the losses of Urlacher and Lovie, they seem to be picking up where they left off and building on their solid foundation. 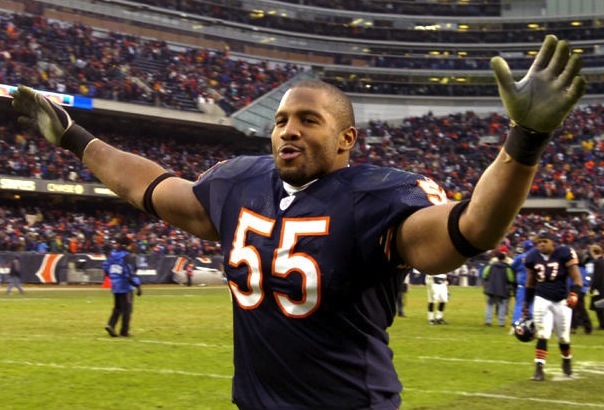 Lance Briggs is stepping into Urlacher’s legendary shoes and calling plays. Mel Tucker, first year defensive coordinator for the Bears, says “[Briggs] is doing a great job with checks and the adjustments.” Maintaining solid work will definitely help the Bears on their journey to the postseason. 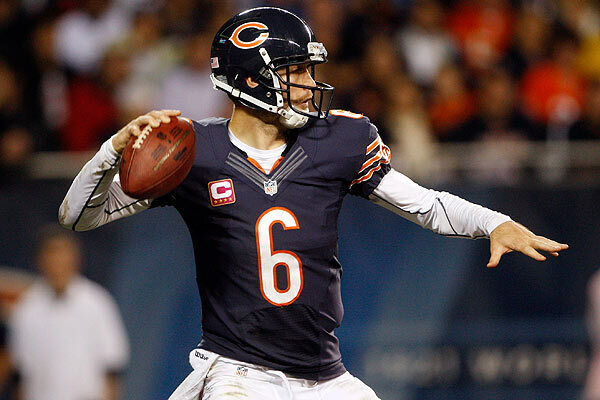 ESPN Chicago’s Michael C. Wright notes that Jay Cutler’s problem is not his arm. Cutler struggles with his dropbacks, delivery, and footwork. While Cutler is definitely showing signs of improvement, when asked if he could maintain his momentum, Marc Trestman said, “We’ve got to come here and remind each other each day, ‘If we’ve got two willing guys that are willing to work with each other to do it, we’ve got the best chance.” Trestman knows there is no magic bullet with Cutler; Cutler must evolve. Evolution is a slow process, but if Cutler is already showing signs of improvement, he may have a chance of keeping his job. Along with his own performance, he must teach himself not to rely heavily on Brandon Marshall. Marshall missing a few days of training camp due to a hip injury gave Cutler a way to refocus on other receivers and allowed for other receivers to give Cutler a chance to trust them on the field. If the Bears are going to work, they must work as a team, not as a dynamic duo. 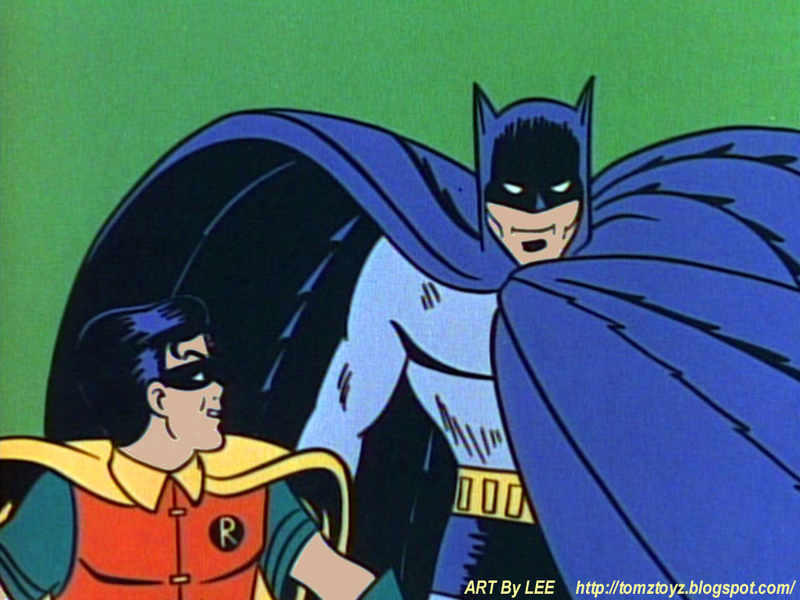 Only one dynamic duo can win a Super Bowl, and you’re not Batman, Jay Cutler! The breakout star of training camp is Kyle Long. Reports coming from Bourbonnais say #75 is an amazing defender and a great asset to the team. He spent the offseason working on mixed martial arts fighting techniques to improve balance and stamina. He still has a lot of work to do to beat out James Brown for the starting right guard position, but he remains optimistic and focused. “I’m playing a game that kids play for fun,” Long said, “We’re blessed enough to be able to get paid. It feels great.” Training camp is fantastic, but he must really shine bright when the preseason begins August 9th. We are excited for preseason and excited for the official return of the Chicago Bears on August 29th! 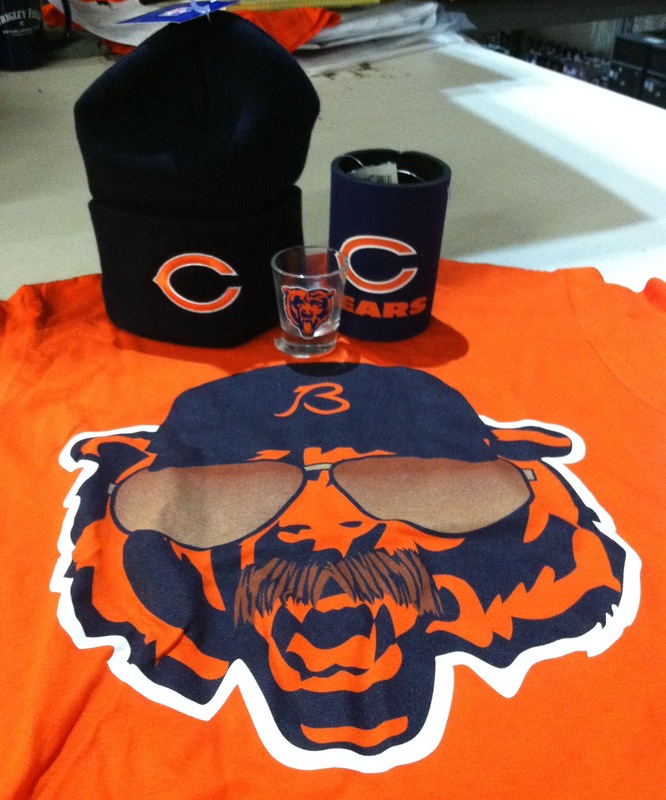 We are so excited, in fact, that we are having a Chicago Bears Tailgating Giveaway! Head over to our Facebook page and enter to win the contest. Click here for details, and keep an eye on our Facebook page for other opportunities to enter! 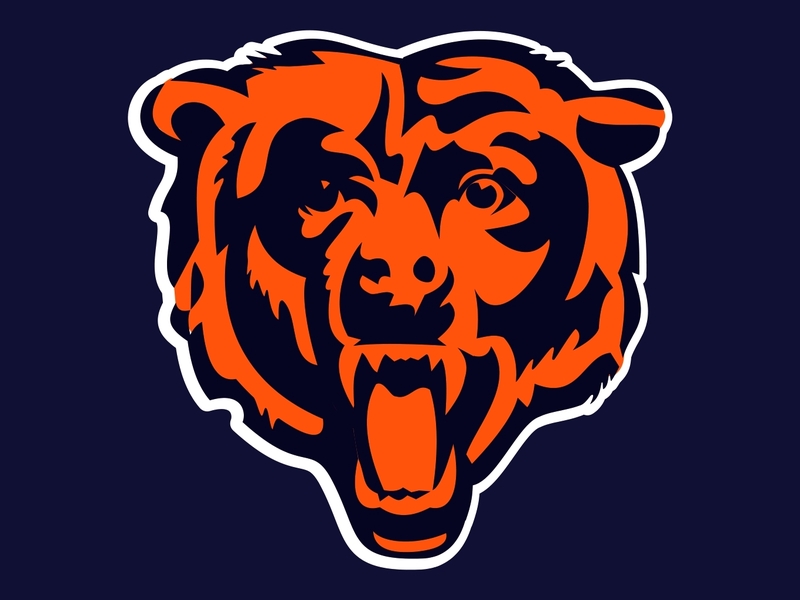 Bear Down, Chicago! Football season is almost here! SPORTS IS GOOD!